If you’ve followed us for the last almost three years, you know we are avid fans of bilingual educator and musician, José Luis Orozco. We admire his vision and dedication of more than 30 years for preserving our cultural heritage and language through the use of music and literature aimed at our niños. The restless Orozco and his crew have just announced the launch of a site and project we were already privy to, but were waiting for it to finally be live so we could share it with you. Be one of the first to visit the brand-spanking new Caramba Kids site with your kids and meet the animated version of José Luis Orozco with his cast of bilingual amigos: Juanito, Mónica, Paco, Susana and their pet Tito. Along with a team of award-winning experts in animation, music, technology and early childhood development, they´ve created Caramba Kids as a bilingual educational platform based on Orozco´s well-known and loved music. For now the site offers only one video in both English and Spanish, but more are in the works. There´s also a section with educational activities based on common core standards which are also available for download in both languages. 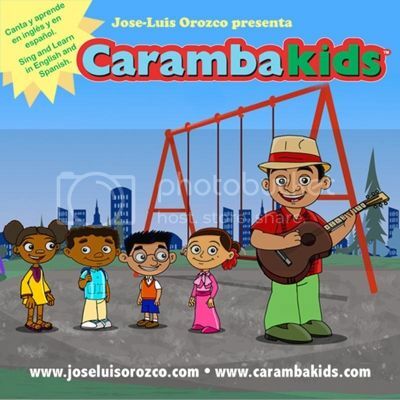 What ties it all together is Orozco´s newly released bilingual CD titled “Caramba Kids” which features the singer performing alongside his crew of pequeños amigos. Each tune is sung first in Spanish and then in English. Check out the full versions of the track Sí se puede in Spanish and then in English. If you love it, then head over to iTunes to purchase and support an artist who gets us and who has inspired many for decades. For more on José Luis Orozco and Caramba Kids Like them on Facebook, follow on Twitter and subscribe to the YouTube Channel. This giveaway is now closed. Congratulations to the winners: Cindy Lou,Claudia N,Nancy F,Melissa,Veronica Alonzo,Angelina,Tati,Sandy,Jodi Monroy,and Lupita ! We’re giving away TEN AUTOGRAPHED copies of the new Caramba Kids CD! To enter all you have to do is visit the new Caramba Kids site and leave us a comment telling us what you loved about it. 2. 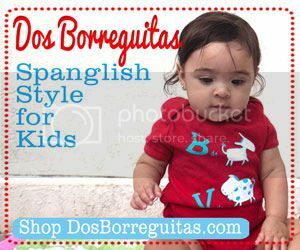 Follow us on Twitter and tweet about this giveaway including this link to the post http://su.pr/3HsvVa, @SpanglishBaby and @CarambaKids. Copy the link to the tweet in an additional comment on the giveaway’s post. This giveaway ends Tuesday, Dec. 6th at midnight PST and is open to everyone over 18 years of age in the continental U.S. Check out the Giveaway Rules. I love the parent and teacher resources! I already subscribe to your blog/email updates. I like you on facebook. I enjoyed the videos with Jose Luis singing, I will be playing these fo rmy daughter and singing along with her. Thanks for the resource. 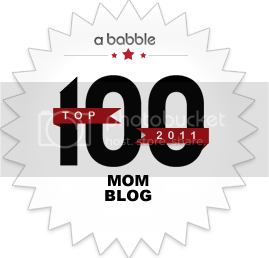 I like SpanglishBaby on Facebook! I have been using Jose Luis’ resources ever since I started teaching Spanish to kids here in Canada. I love the fact that he is a native speaker and not just another English speaking person trying to sing in Spanish. I look forward to more videos and resources from Jose Luis and I congratulate him on “Caramba Kids”. My daughter and I love all the Jose-Luis Orozco songs…have been fans for a while. It’s great to see this new “Caramba Kids” website! I especially liked that you can download PDF of activities that go with his songs. Great work! I love songs by Jose Luis Orozco, my daughter starts talking and through the songs is much easier to learn new words! We love to dance and sing this music. I like the fact that you can preview all the songs from the CD and the activity guides are so helpful with a lot of information and ideas to use in the classroom. 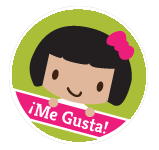 I teach K-3 Spanish and i am excited about this website! My daughter says she listened to this at preschool and wants to listen to it in the car. I’m a subscriber to your blog email updates. I like Spanglish on facebook. i love this site! This new cd will make a great Navidad gift! 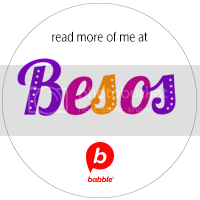 I like the printables available on the site! Thanks for the info! I am already a subscriber also. Hola! I am a suscriber of your blog and i follow you on facebook. I just have to say that the CarambaKids website is awsome. I absolutely love it. As soon as i went on here to see what it was and i played the video, my 9 month old crawled over to be and started swaying back and forth to the song. This caught her attention quick. The website is also great with all the different songs. I know not only my kids will love this but also the kids in my Daycare. I will keep my eye on more of Jose Luis videos and songs. Im glad that i came across this. Love the site – rushed to buy the CD on iTunes, but received this message, “Item you tried to buy is no longer available.” Will keep trying, though – at the end of each preview clip my daughter looked at me and said ‘tan-tan’… As in accusing me of making the music stop. Thanks for the great resources! Registered for e-mail updates, looking forward to updates. Any plans to do an alphabet with ch, ll, ‘ny’, and rr? We go way back on FB. I love the characters and their distinctive voices and appearances. Re-subscribed for blog updates – was getting them, but then they stopped. i love, love, love Jose Luis Orozco! One of our absolute favorites! I am so excited about this new CD! The site is great and I love the animated video. Great giveaway! Gracias! I like all the activities and songs. My son loves to sing.. I am sure we will be singing diez deditos all day! I like that everything is translated for those of us that are learning the Spanish language. I love the cute cartoon characters and the little animals in the video. I love his music! I also like that the you can read the lyrics as they are sung on the video. I subscribe to your blog/email updates. We love the music and enjoyed the videos. I appreciate having lyrics too. I LOVED all the videos….I enjoyed sharing them with my daughter 8 and 6, who speak very little Spanish and they loved the songs too and just like all his songs they were singing along…. I love how interactive the site it. Love it. I am and email susbscriber. My kids enjoyed the buenos dias video. I loved the activity ideas connected with some of the songs. I am also subscribed to your email updates.